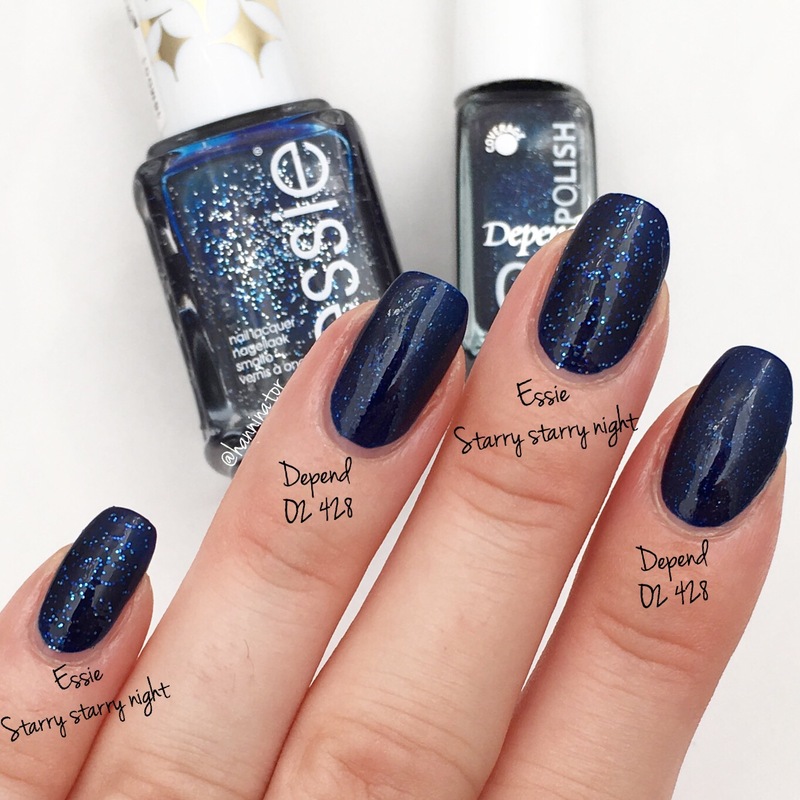 Earlier this year Essie re-released Starry Starry Night and a lot of people were not too happy with the new version of the polish. 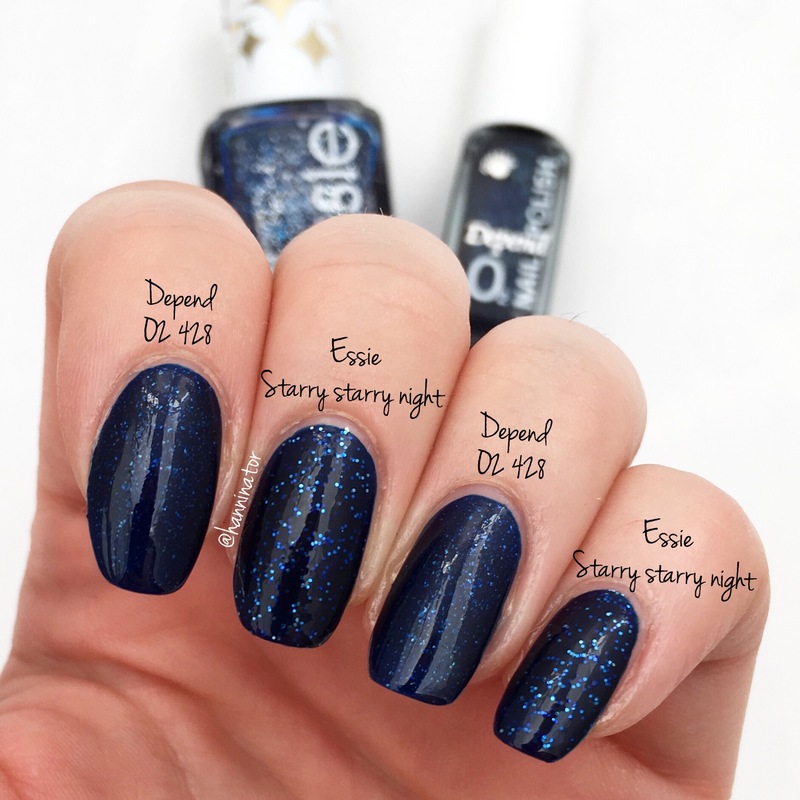 I think that I may have found a dupe for the original version of the polish, O2 428 from Depend! Though I only have the new version of Starry Starry Night, so that’s the only one I can compare it too. Here you see two coats of both polishes over one coat of base coat. The formula of the two polishes are pretty similar and they are a little bit thick. On the first coat they look pretty awful and like they will new a few more coats to be opaque, but the second coat covers really well! 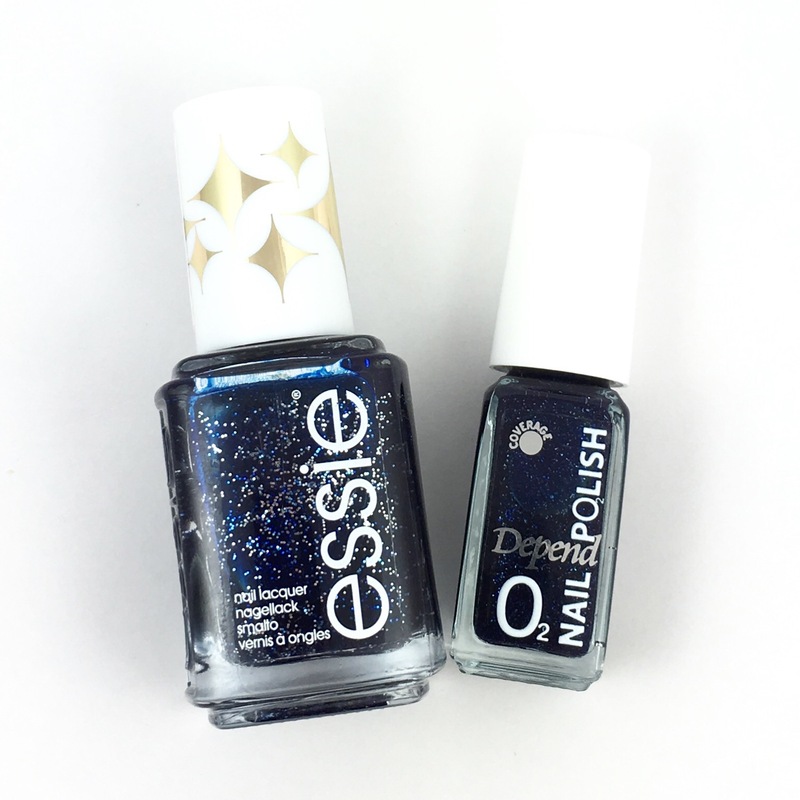 The only difference between these two polishes are the size of the glitters, so which one you’ll like the most depends on what you prefer. But don’t you agree with me, O2 428 from Depend looks like a good substitute for the original Starry Starry Night.